Our Feature in Niche Magazine! You may have seen copies of Niche Magazine being distributed around some of the best places in Leicestershire. 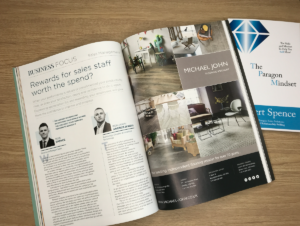 From large supermarkets, to boutiques, beauticians, sports clubs and garden centres – Niche Magazine reaches a very wide audience across the whole of Leicestershire. 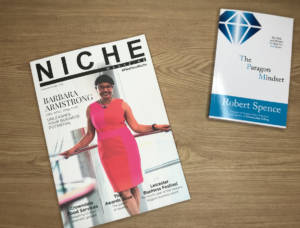 In fact, Niche Magazine are well known for their links to leading businesses and entrepreneurs across the county and best of all; the magazine is free for you to pick up, read, and enjoy! 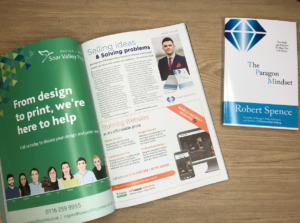 Well for those eagle eyed readers among you, you will have seen our MD Robert Spence feature in their latest September/October edition! That’s right! 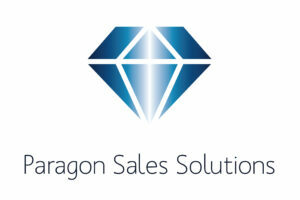 We are thrilled to say we have two sections in the latest magazine! 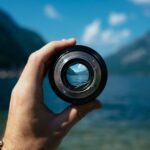 The first being an article all about The Paragon Mindset, and the other, Robert discusses the best ways to reward your sales staff and how to get the most from a sales team. If you do see a copy of the latest edition of Niche do be sure to pick it up and give it a read!